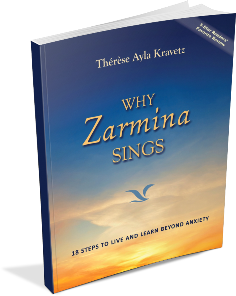 I wrote about overcoming anxiety in my book, “Why Zarmina Sings” based on my experiences as a teacher. I saw how my students and I could bypass fight or flight through creative play, movement, mindfulness, safety and more. I learned that there are ways to make learning easier and accelerate learning and I outline these in my 18 chapters. 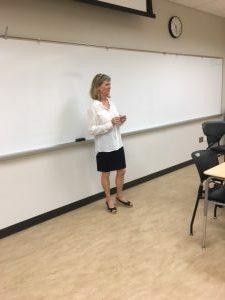 Now I wonder if there is a way to teach without the stress of “learning.” What if we could? What if instead of uploading information and experiences into a storage of short and long term memory, we could simply know things? We have been playing it small as humans and the human brain. 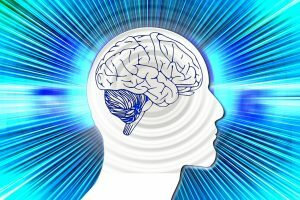 Scientists confirm this by telling us we use only 3-10% of our brains. I believe we can access this other 90% of our brains through play, wonder and an expansion of consciousness. This is where discovery and merging with our gifts take place. 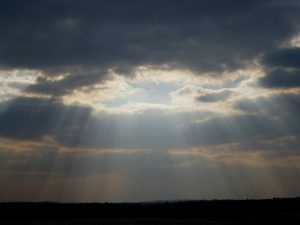 I have used dramatic scripts, improvisation, and movement to bypass fight or flight, why not bypass the whole information processing and go directly to knowing? I recently saw a young man, who had never taken a dance class, teach dance. He taught people how to move in the moment and to music without ever having “learned” himself. He tapped into “knowing” how to dance. When I am able to relax and play at something in experimental mode, I bypass anxiety. It seems I can tap into some other kind of learning. I don’t have an end result so I go in a non-linear way to experiment with things and see the results. It’s no longer only about processing information. That is for sure. That is the old paradigm. We can google anything. Now it is about creating and expanding into information already there. I’m talking about the other 90% of the brain that hasn’t been tapped into. Instead of cramming everything in this tiny passageway, what if we open to the collective where this information already exists? Isn’t this what genius does? Haven’t you ever just “known” things? What about posing a question to yourself and then shortly after discovering the answer? It’s as if we can tune our brain wave radios to the station of the correct answer. What if we asked this question and began to explore this? What if the rest of the brain were synapses that are interconnected to each other where information in the cosmos is readily available? There is much we don’t understand about the brain. Edison, when he wanted answers, would ask the question and purposefully take a nap. I believe it allowed him to wander into those realms of knowing and retrieve the answer. With over 1,000 patents to his name, he likely used more of his brain than most. I believe he tapped into direct knowing beyond conscious thinking. Begin with a simple question you have. How do I cook a ____? What is the answer to final Jeopardy? How do I knit a sweater? But whatever your question is, be sure it is tied to a genuine interest. You must really want to know the answer. These are exciting times. The world is changing, accelerating, and the linear existence of information processing is no longer valuable. Instead we need the boundless possibilities of creativity. How we will access this?